Any one has scans or just pictures from the second book? DrthRvn wrote: Any one has scans or just pictures from the second book? Yes, the thread that silvermoonlight linked above now has a post for my review of the second ANIMA book, and the review includes a few scans. Sorry for taking so long... December is always a super busy month for me, and I'm still trying to get caught up on a bunch of stuff, heh. Anyway, check out the review, and I hope you enjoy it. Just wait until you see the crazy thing that happens to Asuka! Did they announce the release date of the third volume? As far as I know, a specific date hasn't been announced yet. 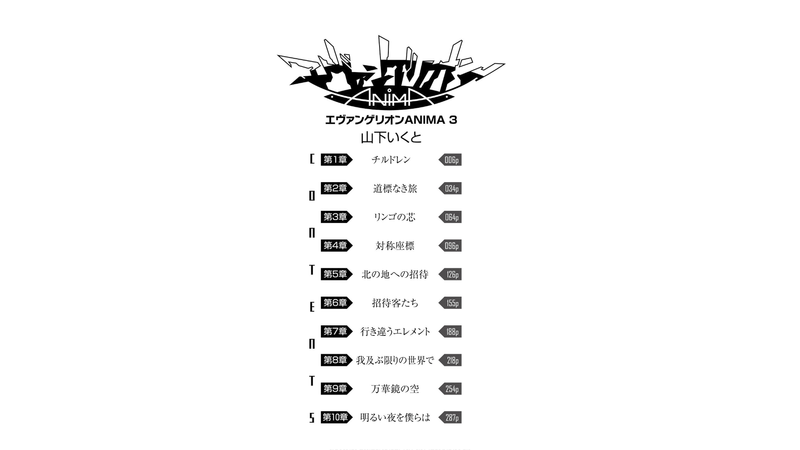 At the end of the second volume, it simply says that the third volume will be out in "Spring 2018". Oh well, at least we have a timeframe. Volume 3 comes out March 17th. 324 pages. Just pre-ordered volume 3. I might double dip and get the e-book versions if I can. Since I'm mostly collecting these for the new art it'll be nice to have a digital version. I wonder if someone will take a crack at translating the series now that it's in a digestible format and not Dengeki's huge wall-o-text? I've thought about shooting a line to Dark Horse and seeing if they say anything. Heck, if I still had the disposable income I'd see about commissioning someone to do it. I want to see what's inside the Anima black box real bad. For anyone interested in more COMPLETE scans take a look here. I would like to see this translation come to life. If you or anyone you know has experience in Japanese please consider creating a new project page over at Baka-Tsuki. My copy of volume 3 shipped last night. It's supposed to be here by Tuesday. Can't wait to see if there's any new art! Apologies for the double post but I wanted to bump the thread. The suit Shinji is wearing seems very similar to the ones worn by the pilots in Iconic Field, but Yamashita did do that too. 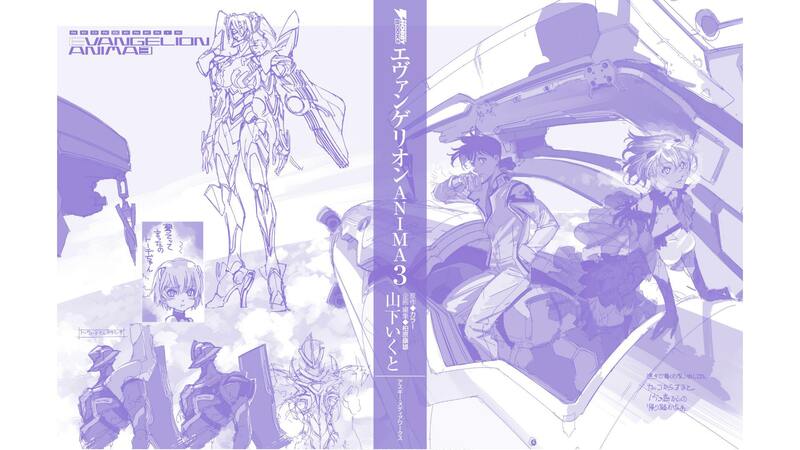 Oh, there's also a drawing of old school Unit 02 with a piece of equipment at the very end of the book, just like Unit 03 in Volume 2. It goes through the appearance of US Eva WOLFPAC and the Crimson A1 at least. Crimson actually gets a full page to herself at the front of the book, as does the "Apple Core." I got volume 3 today! I wrote a review that includes a few scans, in case anyone is interested. I made this new post for it on my book review thread. Man, with the amount of light novels getting Western releases, I really this hope comes out one day. Come on Dark Horse or Yen Press or somebody! ^ It would certainly be nice, cause I feel we're missing out on a great story.